For Sale: 3BR/1 1BA Single Family House in Stockbridge, GA, $51,000. Just received this home a cute quiet ranch home in a well established neighborhood. 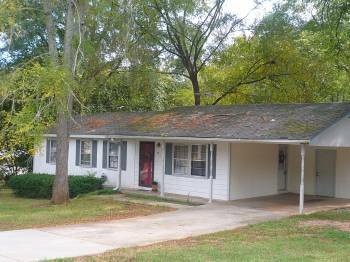 Super deal on a 3 bedroom one and a half baths, Lease Purchase home in Stockbridge, GA . Good Henry County schools close to everything without the noise. Comes ready to move in over 1300 sq ft, big dining room, living room, extra enclosed sun room, storage space above under and on the carport, nice yard with trees and garden area. Owner finance $6000 up front and $650 a month you pay taxes and insurance. Call MArk to See this one before it is gone!!!!!! !